The Lisbon Elementary Chorus is open to all 4th and 5th grade students who wish to participate. Students meet in the music room once a week for 30 minutes to learn vocal technique, part singing, harmonizing, diction, and music reading. As a part of this program, students also have 2 concert opportunities a year, one in December and one in May. In addition to these rehearsals, students will have 2 concert performance opportunities per year, one in December, and one in May. 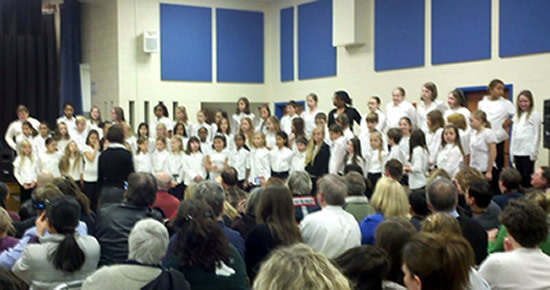 Students have the option to participate in chorus in addition to band, strings, and/or handbells. Chorus will not limit students from participating in additional school activities. I am asking that students make a strong commitment to this group. It will be the students’ responsibility to make up any work that they have missed in class. It is also the students’ responsibility to attend rehearsals regularly. Classroom teachers will be in contact with me regarding those students who are falling behind in class. 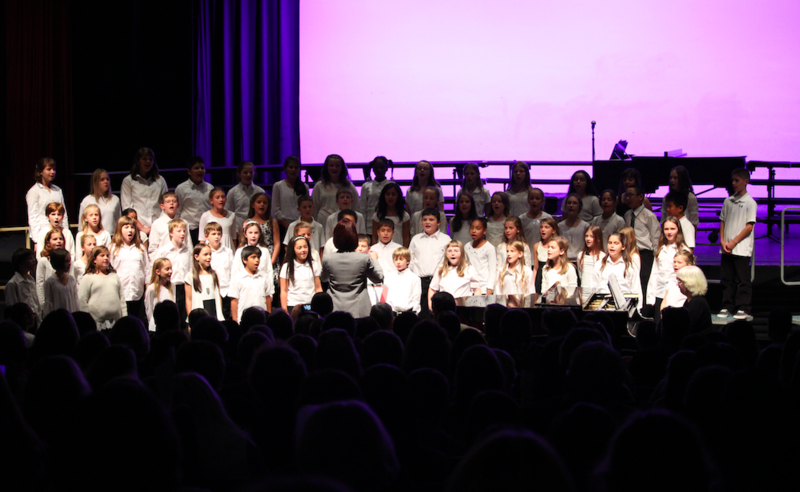 If a student commits to chorus, it will be expected that they perform in the concert. 3. Must do his/her best at all times. 4. Must make up all classroom work that is missed.